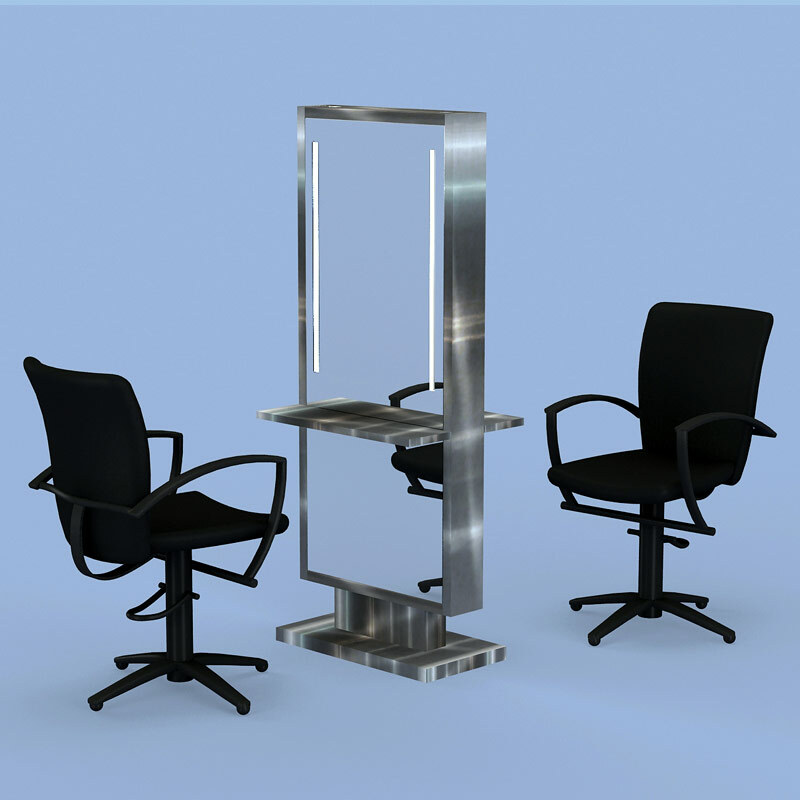 Category: Mirrors Freestanding.Tags: Hair Salon furniture, Salon Equipment, Salon Furniture, Salon MIrror. The Delorean Mirror is a Stainless Steel Frame mirror in Double, Single or Wall Hung options. It has a Stainless Steel shelf with illumination through the mirror. The Double Mirror comes on coasters and the Single on a stand. Courtesy circle upgrade available. 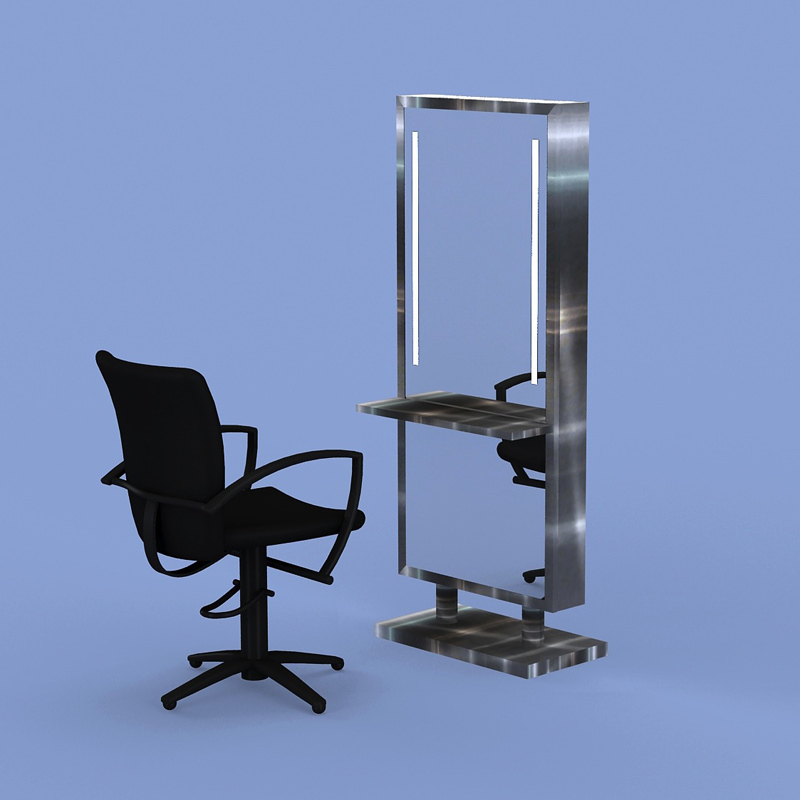 Please visit our Eurisko Design Collection that has mirrors, stations, desk, retail furniture, makeup tables, manicure tables, pedicure stations, shampoo back bars and spa cabinetry. 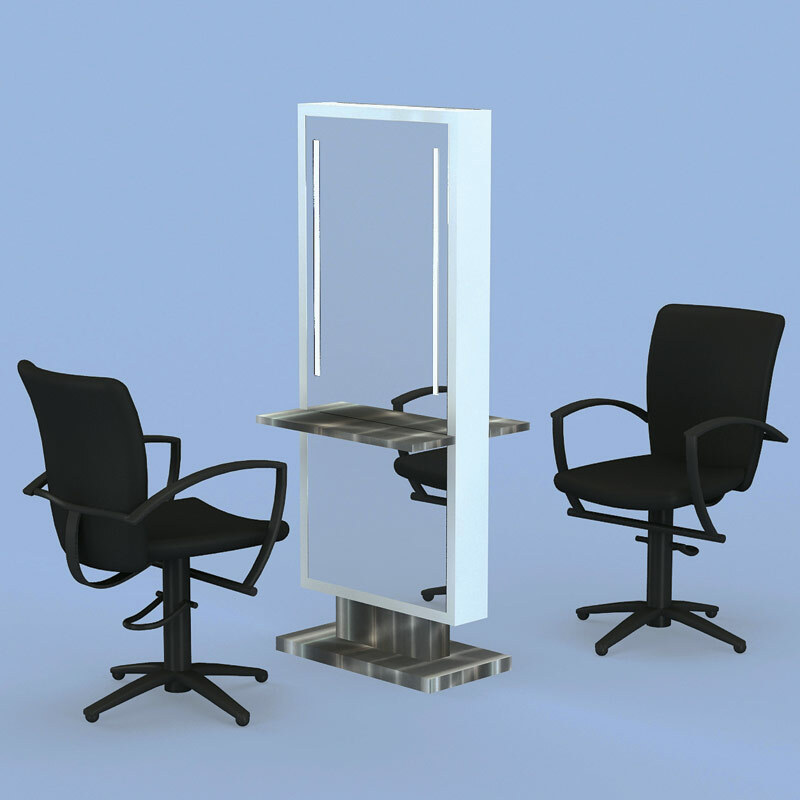 Eurisko Design for all you salon furniture and design needs.